We live in very dangerous times, so perilous in fact, that the idea that one is innocent until proven guilty - a tenet of British and American criminal law - has been literally tossed out the proverbial window when it comes to "Right" minded people. 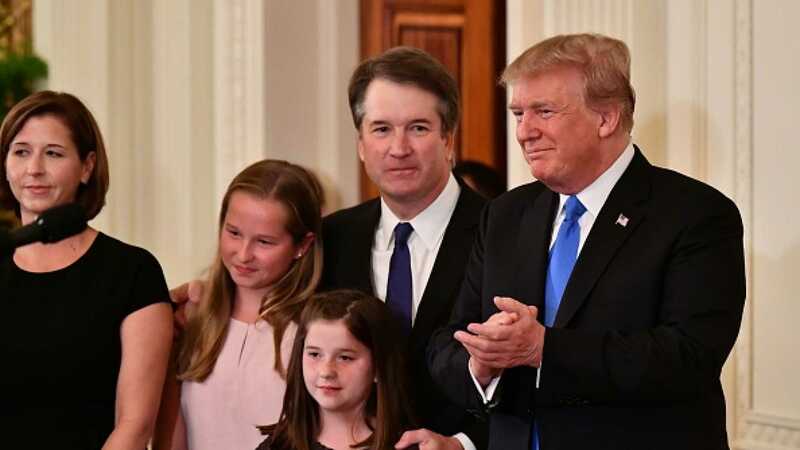 Although the latest shocking disregard for due process of law is happening across the Atlantic, what Judge Kavanaugh is facing during the US Supreme Court confirmation hearings, has huge ramifications for Right leaning people across the western world. In Part two Nick Griffin and Jack Sen discuss the latest from Tommy Robinson's contempt of court hearings. Note - Since recording the podcast it has come to Mr Griffin's attention that the same judge who presided over Tommy's initial contempt of court proceeding is not presiding over his current one. This is an excellent two part program you won't want to miss. If you'd like to follow Nick Griffin on social media, he can found at @NickGriffinBU on Twitter; @NickGriffin on gab.ai. He is also on Facebook and vk.com. To learn about how former Member of the European Parliament, Nick Griffin, put a stop to an immoral and unjust war against the innocent people of Syria please watch THIS video. Jack can be found on Facebook here (British radio page) and here (South Africa/US channel). Jack's writing can be found on the Occidental Observer as well as here on Resistance Radio. And for non-members visiting our site, please be sure to subscribe to listen to all of our exclusive content as well as the second parts of all our broadcasts. In order to keep hosting our own content, bypassing YouTube and other untrustworthy and unsympathetic hosting services in the process, we need your support. Part one of this exclusive 30 minute broadcast is available by clicking on the following media player. Part two (last 20-30 minutes of each recording) is for subscribers only, so please join to support our efforts.